There's no place like home with this delightful design by Karla Dornacher. Order My House note cards and make a statement about your family values. 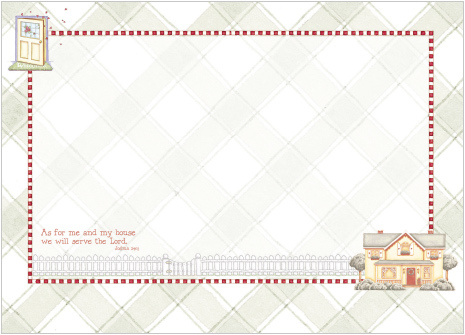 These 6 1/4" X 4 1/2" flat cards include free personalization and envelopes.